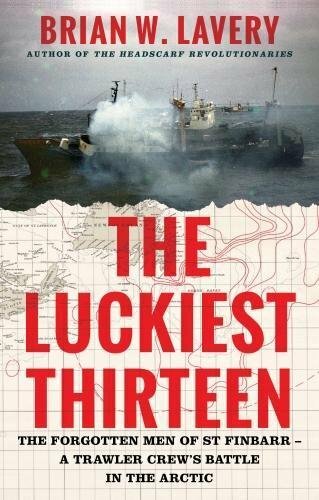 Gripping, just one of the words that readily springs to mind while reading this piece of little-known deep-sea fishing history. In many ways the book captures the industry at a pivotal moment in its history - one minute age-old traditions are being observed by all those involved in getting the newest big trawler in the fleet to sea and the next, elements of the more modern world it represents and way of life it heralds begin to compound and impact on the sea-going disaster that literally engulfs its giant hull. 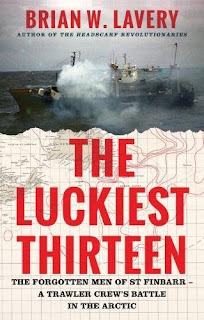 Even though the book starts with the end as it were, every page builds and builds - like those slow heavy swells that fetch across the North Atlantic and make life on the heaving deck of a trawler so much harder - and so much more dangerous. Christmas for many means the opportunity to curl up with a good book - order a copy now for anyone you know who would enjoy some real fishing history! PS: Don't forget if you are a student or work in education with your .ac.uk email address you can get six months Amazon Prime for free - take advantage now!